Charter a private jet to the Cannes Yachting Festival, an annual event held in September surrounded by the elegant, luxurious sparkling waters of the French Riviera. 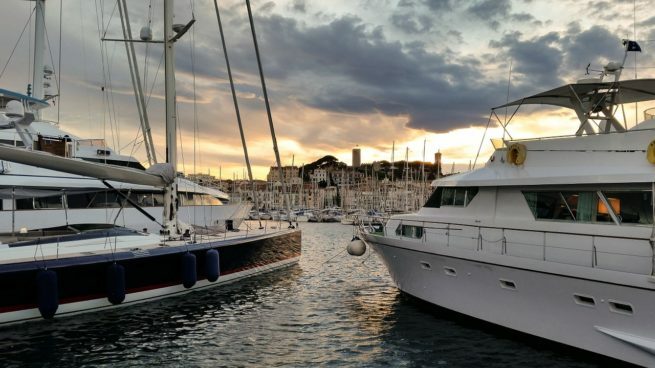 The Cannes Yachting Festival is Europe’s leading in-water boating event, and the first show of the European boating season attracts major players in the pleasure yachting industry to showcase their new models. In 2015, the event drew more than 50,000 people from five continents, with international visitors accounting for nearly half of the crowd. The event is held at two ports along the French Riviera, the Vieux Port and Port Pierre Canto. Nearly 600 boats and yachts will be on display in the water and on land between these two locations, including around 100 models making their world debut. Shipyards even offer trips out to sea for potential buyers, allowing them to experience a particular yacht before making an informed decision. The Vieux Port, the city’s historic old port, will be home to the Festival’s largest vessels with a variety of motor and sailing yachts over 25 m, some reaching 55 m. You’ll also find the Palais des Festivals near Vieux Port, where a number of shipyards, banks, interior designers, architects and other nautical services will be on display. There are also sections of the festival dedicated to Catamarans, Sport Fishing Boats and Powerboats as well. The La Terrasse viewing area at the Cannes Yachting Festival is available exclusively for luxury vendors – industries including automobile, jewelry, private aviation, real estate, luxury travel and the like will have their upscale products and services on display in this all-new, intimate location. 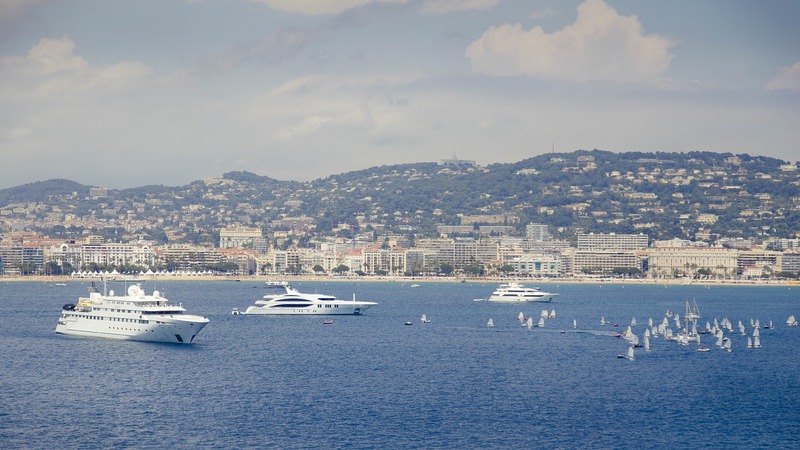 Ideally situated near VIP shuttles, this privileged area provides breathtaking views with the old port and its 500 yachts on one side, and the Cannes bay and Croisette on the other. If you’re interested in attending the show or exhibiting your business at the event, contact our team at Jet Charter Europe to arrange your private flight to France. Our team can arrange for your private charter flight to land at (LFMD, CEQ) Cannes-Mandelieu Airport, located just 7 kilometers from the Vieux Port and Port Pierre Canto. If you’re flying a large party or a corporate team to the festival, (LFMN, NCE) Nice Côte d’Azur International Airport is located 30 km away, and is the ideal option for larger private jets and airliners. Arrive in style and enjoy the comfort and privacy of a private flight to the French Riviera for this year’s Cannes Yachting Festival. Late opening until 10 p.m. Friday 9 September. Request a Quote or give us a call at 1-888-987-5387 to speak with one of our private jet charter representatives and arrange your private flight to the beautiful Côte d’Azur for the Cannes Yachting Festival in France!